Read an excerpt of Failure to Adjust. Against the backdrop of the U.S. presidential election cycle and the controversy over the Trans-Pacific Partnership (TPP) trade pact, Alden shows how the collapse of the consensus on trade has been decades in the making. Using detailed historical research and drawing on his previous experience as a journalist covering the North American Free Trade Agreement (NAFTA) and the creation of the World Trade Organization (WTO), Alden reveals that U.S. policymakers have long recognized the challenges that Americans would face in the new global economy, but mostly looked the other way. The problem is not globalization, he writes. “The problem has been the domestic political response to globalization, which in too many ways has been deeply irresponsible. A central task of any government is to provide the tools to help people adjust and succeed in the face of economic change.” However, “the story of the last half century has instead been the failure by governments to ease that adjustment,” Alden says. 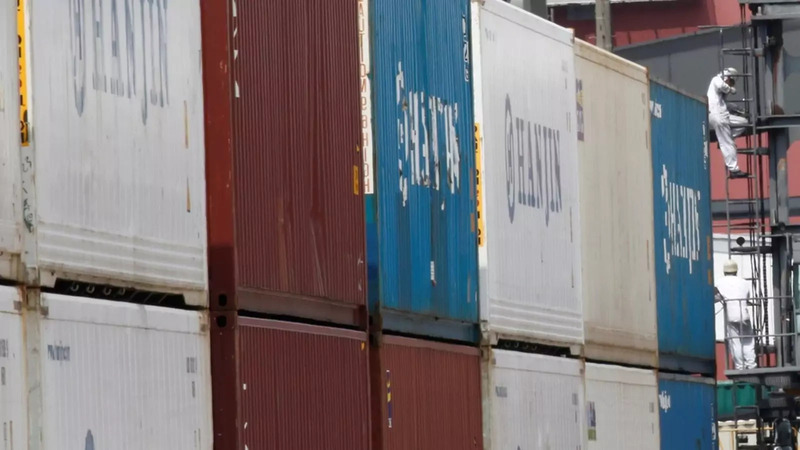 In Failure to Adjust: How Americans Got Left Behind in the Global Economy, Council on Foreign Relations Bernard L. Schwartz Senior Fellow Edward Alden explains why the political consensus in support of trade liberalization has collapsed, and how to correct the course. The United States has contributed more than any other nation to writing the rules that created the competitive global economy of today, helping support stronger growth in much of the world. Yet successive U.S. administrations have done far too little to help Americans succeed under those rules, says Alden. Failure to Adjust contends that the policies needed to help more Americans flourish in the global economy are well within reach. The book’s recommendations for the federal government include building on local and regional efforts to attract and develop internationally competitive industries; introducing corporate tax reforms and streamlining regulations; enforcing trade rules to ensure a more level playing field; reforming international rules to constrain subsidies that distort trade; developing comprehensive workforce retraining plans and apprenticeships to help American workers build necessary skills; and expanding trade adjustment assistance to workers displaced by trade. An insightful history of worldwide economic transformation over the last 50-plus years. This is going to sound really nerdy, but Edward Alden's new book on trade is really timely. Of course, I don't get much of a chance to read these days. 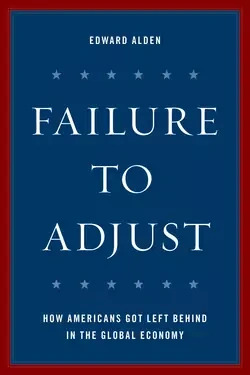 Ted Alden's new book, Failure to Adjust, captures vividly the inherent tension in America's role in the postwar global economy: that between the principal architect and guardian of an open system, on the one hand, and a participant and competitor within that system, on the other. That tension cannot be removed. But in Alden's thoughtful analysis, as the global economy grows, the balance between player and referee that needed to shift in America in favor of the former has been late in coming. It is a really interesting and detailed assessment that avoids overly simple diagnoses and prescriptions. Rising opposition to globalization has thrown an already polarized political environment in America into near mayhem, with our key economic partnerships hanging in the balance. Ted Alden provides a cogent and constructive analysis of the origins of opposition to economic openness that charts a viable path forward. It is essential reading for all who care about America's role in the global economy. Ted Alden hits the nail on the head with this cogent analysis of the trade issue, its impact on American workers, our failure to meaningfully help those adversely affected and what we should now be doing to save globalization by adopting more thoughtful and far-reaching policies.